For the first time in history, you can hear the Voice of Revelation, such a Voice as spoke to the prophets and messengers of the past, and is now speaking again through a New Messenger in the world today. The Voice of Revelation is not the voice of one individual, but that of the entire Angelic Assembly speaking together, all as one. Here God communicates beyond words to the Angelic Assembly who then translate God’s Message into human words and language that we can comprehend. The revelations of the New Message from God presented here at www.newmessage.org were originally spoken in this manner by the Voice of Revelation, through the Messenger Marshall Vian Summers. This process of Divine Revelation has occurred since 1983. The Revelation continues to this day. 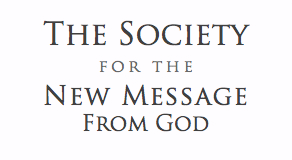 To hear the Voice of Revelation, which is the source of the text contained in this book and throughout the New Message, please visit www.newmessage.org/experience. Here the original audio recordings of the Voice are made available to all people. To learn more about the voice of the Angelic Assembly and the process of divine revelation, hear and read this original message from God.